If you liked this show, you should follow BGG Undead Noise. 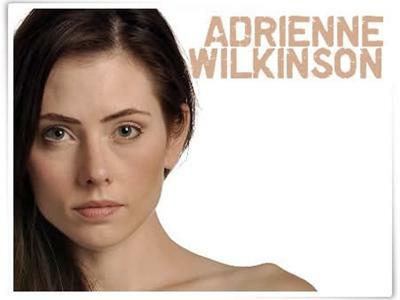 On Wednesday, April 13, 2011, at 2PM PT/ 5PM EST/ 4PM CST, we have special guest Adrienne Wilkinson. Adrienne Wilkinson is best known for her role of Livia/Eve, the sometimes warrior sometimes saint daughter of Xena on the popular TV series Xena: Warrior Princess. She started on television in an episode of Sweet Valley High in 1996, and moved on to Saved By The Bell: The New Class, Chicken Soup for the Soul and in 2001 she had several guest appearances on MTV's show Undressed. In 2002 she starred as Nikki on the US version of the dramedy series As If. In 2003 she had a guest spot on the series Angel as a cheeky flapper from the 1920s, and as Linda Browning in an episode of NBC's popular soap opera Days of our Lives. In 2005 she had guest appearances on the eighth season of the WB show Charmed as Julie Bennett (Phoebe Halliwell's "permanent" disguise), the ABC show Eyes and was a temporary love interest of Dr. Ray Barnett on the hit NBC drama ER where the ripped-from-the-headlines plot of a porch collapse nearly killed her character. Other film work includes Pomegranate, Lakeshore Drive, Interceptor Force 2, and Reflections. She has also done voice-over work for several games including Star Wars: The Force Unleashed, Dead Rights II, Saints Rowand Everquest II.